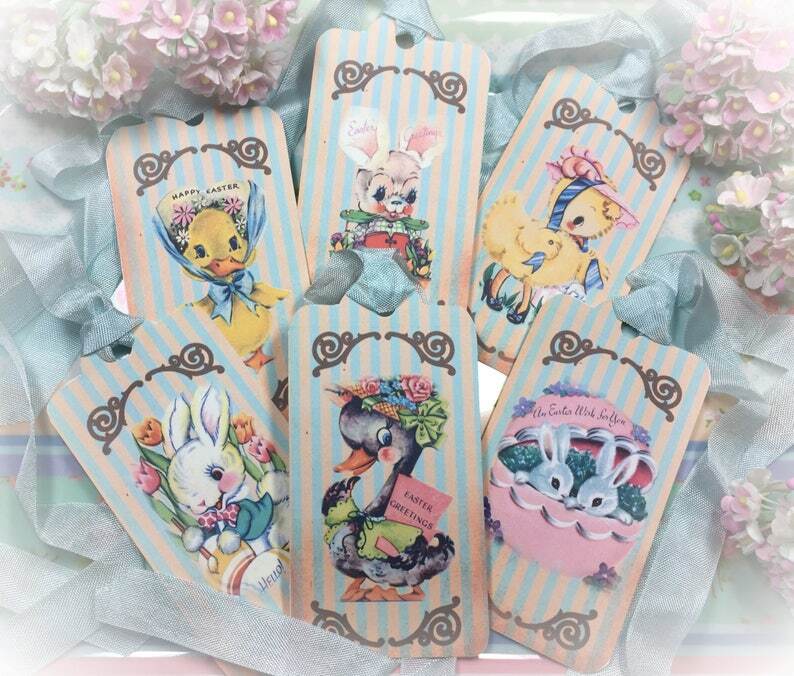 Description: This is for a set of 6 Easter tags with blue vintage satin seam binding ribbon. Printed on high quality cardstock, and blank on the back for your personalized greeting. Each comes with a matching ribbon (style may vary depending on my stock, typically organza or satin). Super cute to tie on your gift bags etc. These are individually hand cut, hand punched and hand strung with ribbon. These are not mass produced or by machines. I have made these with much love, individualized care and craftsmanship in each and every single one.